Join us for some Colorado winter fun! We have groomed snowmobile trails, tons of powder and mountains everywhere. The adventure team loves the San Juans for snowshoes, snowmobiles and solitude but the best of ski resorts tends to be north along I-70. Whatever region you choose there are plenty of recreational options in the winter. Winter is a good time to spot wildlife in the snow and find solitude in the backcountry. Extreme skiers and snowboarders should look into Silverton for some wild runs. Otherwise find some snow and enjoy the Colorado Winter! We love to hit the slopes and enjoy the resort but this is about the backcountry. Silverton has our favorite extreme ski area but a pair of snowshoes and a sense of adventure will put you in the backcountry. This is for the experienced only. Be safe and beware of avalanche areas. When winter hits and the rock climbing season ends we go looking for ice. Our favorite ice parks are in Ouray and Lake City but there are many options. 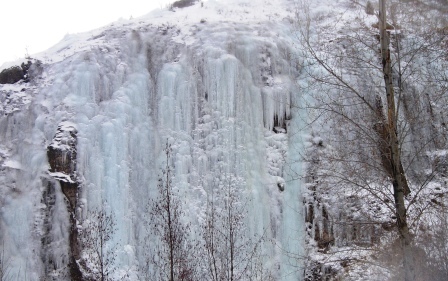 Some places make their own ice but you can find some good climbing areas by scouting waterfalls and springs located above rock in the summer. Find an adventurous partner and hit the ice. 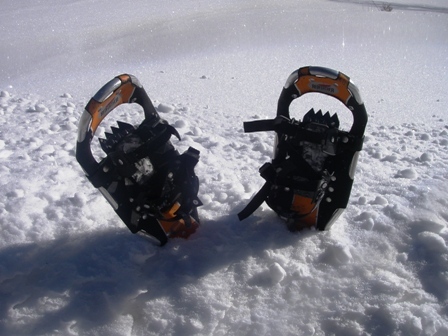 Don't forget your crampons! This is our favorite way to access the backcountry and get some excercise. Gear is minimal and the technique is simple. There is nothing like getting warm by exercising the legs outside on a cold day. Driving a snowmobile through fresh powder feels like riding something between land and water. There are miles and miles of groomed trails across the state and you can cover some ground on a sled. Come see the mountains in style and hit the throttle!